Bentley Motorsport will return to the Nürburgring Nordschleife this weekend in a bid to conquer ‘the green hell’ with its Continental GT3, as the proving ground for road and race cars alike once again plays host to the world’s toughest endurance race, Nürburgring 24 Hours. 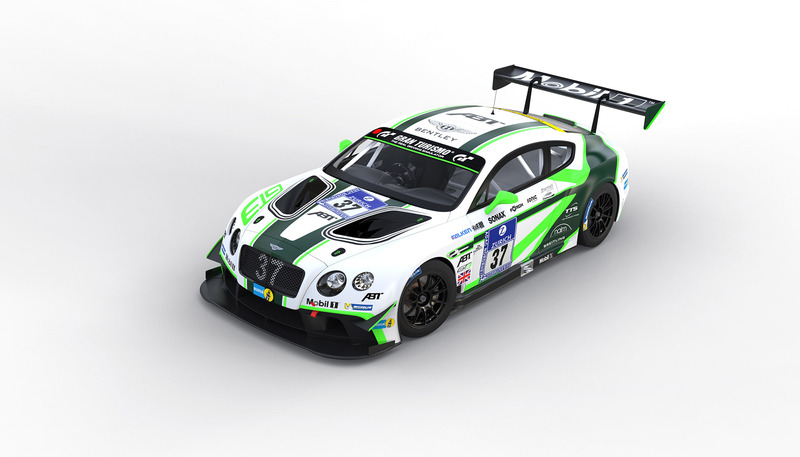 The two-car campaign will be run by Bentley’s Crewe-based works outfit – including senior personnel John Wickham, David Argent and Christian Loriaux – in conjunction with its new European partner team, Bentley Team ABT Sportsline. Alongside seasoned Bentley Boys Guy Smith (GB) and Steven Kane (GB), the Nürburgring 24 Hours driver line-ups comprise talent from Bentley Team Abt Sportsline’s GT Masters squad and local talent. Double-honours will go to Christopher Brück (DE) who will race in both of the entries. He and Kane will be joined by Marco Holzer (DE) and Christer Jöns (DE) in car #37 and Smith will race alongside him with Christian Menzel (DE) and Fabian Hamprecht (DE) in car #38. Bentley’s Director of Motorsport, Brian Gush, comments: “The Nürburgring Nordschleife is renowned for being the toughest race track in the world and that’s why we test all of our road cars there too, covering thousands of kilometres development phase." “Add changing weather conditions, darkness, high speeds and approximately 160 cars, and you can see how this track plays host to the most challenging race in the world – that’s what drives Bentley’s desire for success at Nürburgring 24 Hours.” The Abt family teams have raced at the Nürburgring multiple times since 1999 and this experience and understanding of the Nordschleife showed when, at its debut race with the Continental GT3, it qualified on the front row for the opening round of the Nürburgring’s ten-race series, VLN. “The VLN races have gone well for us but there is a huge difference between a four-hour and 24-hour race,” concluded Gush. “We know we have a good car, strong line-up and experienced team - but at this race, you also need a healthy quantity of luck. We’ll be fighting from the very first minute.” Nürburgring 24 Hours takes place on 26-29 May and tickets are available at nuerburgring.de Driver line-ups for Nürburgring 24 Hours: #37: Christer Jöns, Steven Kane, Marco Holzer and Christopher Brück. #38: Christopher Brück, Christian Menzel, Guy Smith and Fabian Hamprecht.